Javon Searles is a right- arm fast medium bowler hailing from West Indies. He was born on December 21, 1986 in Barbados. He has not represented Windies’ national side yet. Javon has represented West Indies U19 in seven matches including four in the 2006 ICC U19 Cricket World Cup in Sri Lanka. In his first List A match for Barbados in 2006-07, he scored a duck and didn't get a chance to bowl. His performances in List A matches have been also reasonably well with an impressive economy of just 4.75. He has played 15 games where he had taken 19 wickets with the best bowling figures of 3/23. He has a bowling average of 21.36 and strike rate of 26.9 in his List A career. 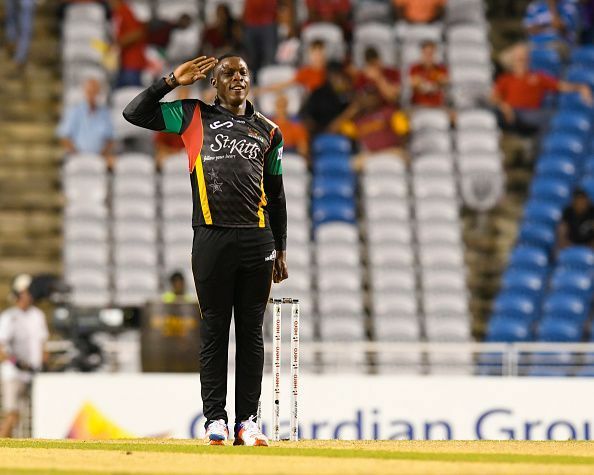 Javon Searles began his club career with the team of Trinidad and Tobago during the 2014 Caribbean Premier League and has just managed to play 27 matches till today. Last year proved to be best for him where he played majority of his career matches (13) where he scored 96 runs and took 7 wickets with bat and ball respectively. During 2018 IPL auctions, Searles was bought by Kolkata Knight Riders for 30 lakh rupees.